Since I have a bathymetric map of West Hill Pond, I thought it might be interesting to calculate the volume of the pond. The formula for calculating the volume of the frustum of a pyramid is where is the height of the frustum, is the base area of the top of the frustum, and is the base area of the bottom of the frustum.1 This formula can be used with bathymetric contours to approximate the volume of a water body.2 Applying the formula to the bathymetric map of West Hill Pond results in a calculated volume of 9.3 × 106 m3, or 2.5 billion gallons. Also available is the bathymetric contour shapefile used. 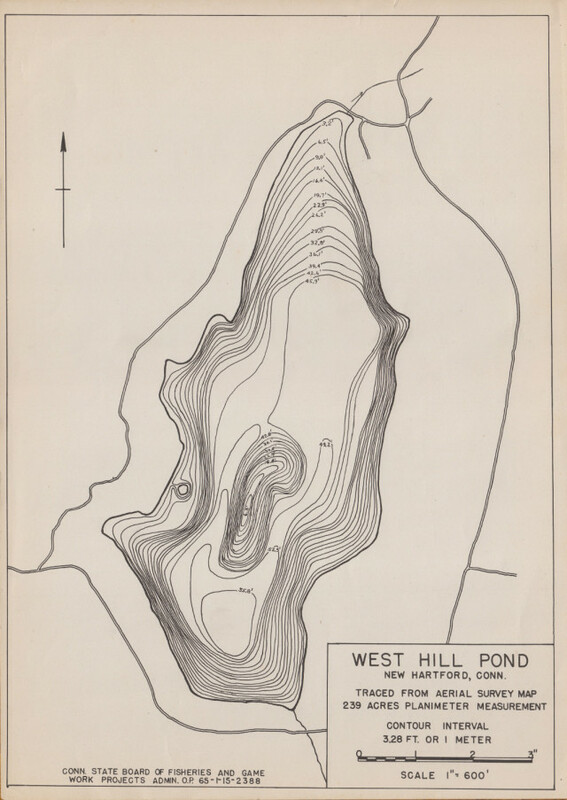 This entry was posted in Research and tagged bathymetry, volume, west hill pond. Bookmark the permalink.